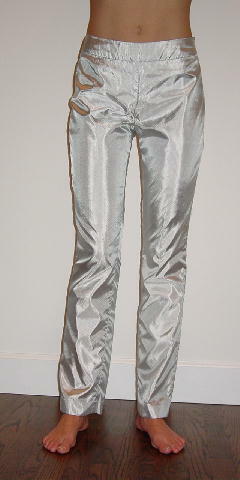 These silvery Nicole Miller pants are 99% nylon and 1% aluminum. There is a 6 1/2" long left side zipper and a 2" wide waistband. 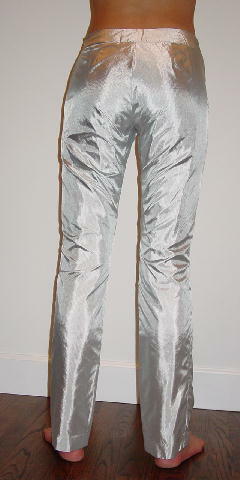 They have a full light gray lining which is attached along the bottom of the waistband. A model wore them once, to a movie premiere and afterparty with a vintage butterfly sequined top, Vera Wang slingbacks, and a vintage beaded evening purse.